An unsuccessful north-east history centre is still on the market after more than a year. 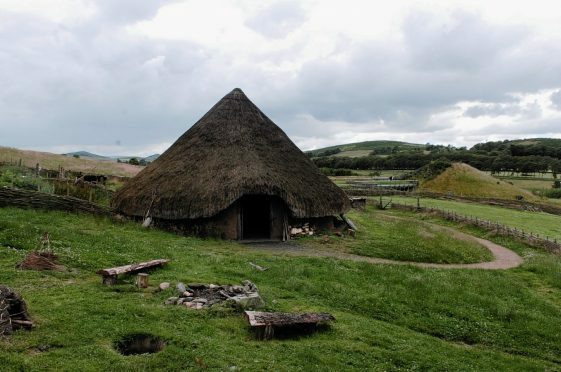 The Archaeolink Prehistory Park, near Oyne, was put up for sale, through Ryden, by Aberdeenshire Council in July last year. The centre was closed in 2011 after the local authority withdrew all funding for it, having failed to attract the visitor numbers required to make it sustainable. However, last night, the council said there had been interest expressed in the five-and-a-half acre site from a number of parties. The tourist facility – hailed as a flagship attraction when it opened in 1997 – has been divided into two separate lots for the sale, allowing buyers to consider them separately or together. The first plot is just over two acres, and has been earmarked in the local development plan for up to 10 houses. The remaining land, which features Archaeolink’s visitor centre and a 40-space car park, was set aside for employment purposes. The council’s head of property, Allan Whyte, said: “The former Archaeolink remains on the open market and, due to its potential uses, the property is in two separate lots. “The building offers a unique space for a variety of possible uses, whilst the adjacent land is suitable for residential development. She claimed the site remaining unsold might be due to the current market and building firms “maybe holding back a bit”, but argued it could make the “ideal site” at some point. The independent member added: “As things are, it is not too bad, there is Berry Hill archaeological monument behind it, and local people use it for walks. No asking price has been published by the council.